"Outlook is missing from my Start Menu." "All of my pinned items are gone." "I have just logged on to Windows 10 and everything looks different." Roaming and persisting the user’s Windows 10 Start Menu and Taskbar is a constant challenge that gains complexity every time Microsoft releases a new Windows 10 update. Users are more mobile than ever, and, in many environments, they hop between physical and virtual workstations and sessions with a variety of Windows desktop and server versions. Providing a consistent look and feel to the user regardless of their platform is key to their productivity and your help desk service levels, and the first place they look for familiar applications and utilities are the Start menu and Taskbar. The Start Menu in Windows 10 is very different to that in Windows 7. In addition to the changes in the interface, we now must also deal with UWP (Universal Windows Platform) applications, also known as Windows Store apps. 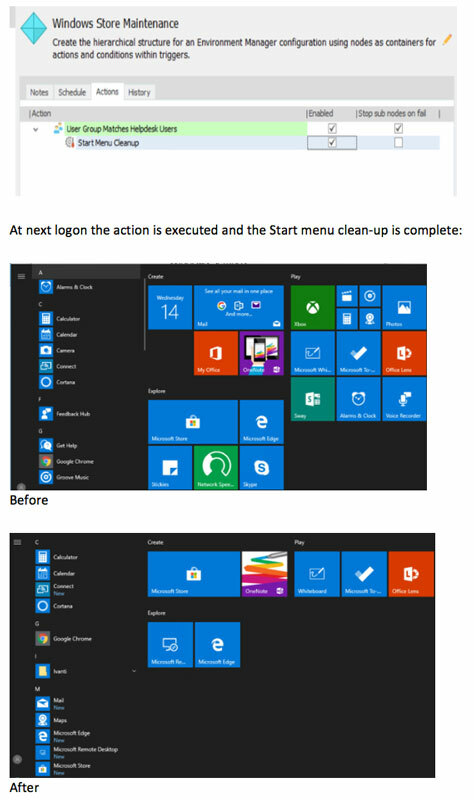 This new breed of applications are present in the Start Menu at first logon on any Windows 10 device and items such as Cortana, Store and Edge are often seen as an unwanted distraction and even nuisance. What Are These UWP Applications and Can They Be Removed? Classic Win32 applications are installed through an MSI, and typically create a desktop shortcut linked to an executable in C:\Program Files and a registry key in HKLM and possibly HKCU. When a user logs on to this device the application is available to them and any personalization they apply to it will be stored in their user profile. System Apps live in C:\Windows\SystemApps. Microsoft Edge is an example and is system-wide. Microsoft makes it very challenging to remove these applications. Windows Apps live in C:\Program Files\WindowsApps. These applications are provisioned to the user’s session at first logon. Yes, that means this “install” process repeats itself every time on a non-persistent desktop or session. They can be removed or hidden on a per-machine or per-user level. Details on how Ivanti Environment Manager can manage this for you can be found below. As the industry leader in user workspace management, Ivanti makes your Windows 10 migration smooth with minimal effort and expertise required. 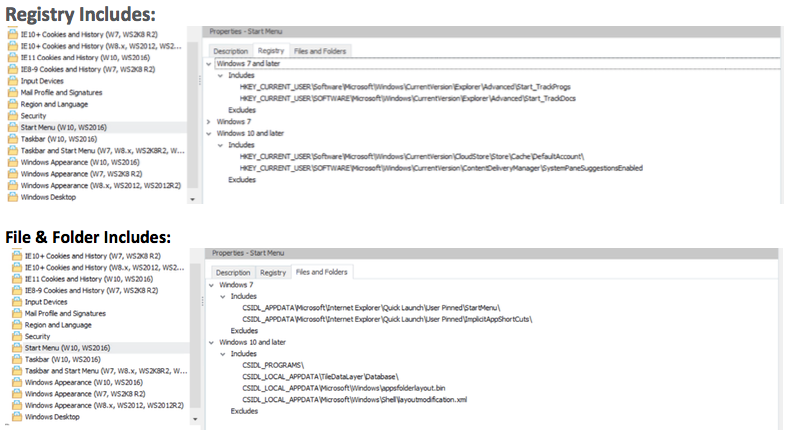 Read on to discover how Ivanti Environment Manager provides consistency in migrating and managing key areas of the Windows 10 profile, specifically the Start Menu, Taskbar, and File Type Associations. 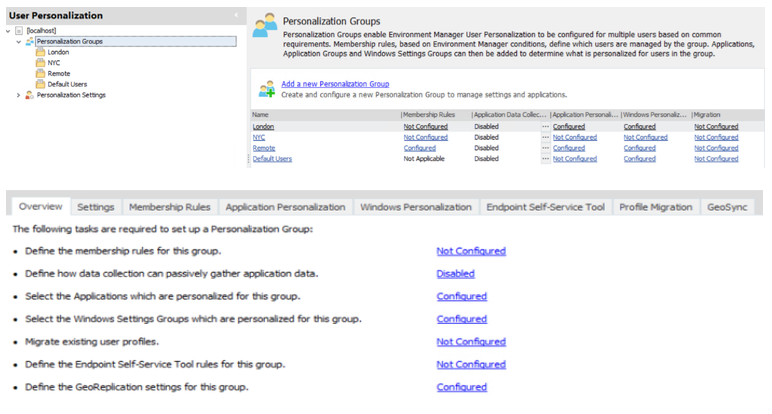 Note that this is the current template in the latest version of Ivanti Environment Manager, and we continually update personalization templates based on customer feedback, and in response to changes in Windows 10. We typically publish personalization template updates on the Ivanti Marketplace. Local Cache: In environments where remote users and unreliable network connections are a factor, Offline Mode ensures the consistent retention and delivery of user settings between sessions. Offline Mode provides an unrivalled level of resiliency by maintaining a local copy of the user’s cache regardless of network status or connection type. As soon as a network connection is established, the EM client will efficiently sync the data with the Personalization Server so the user can roam. Sync Options: Chose a trigger at which Personalization data is synced with the server providing flexibility in non-persistent environments where users may switch devices without a graceful logoff. Every organization has essential applications: Finance may look straight to the taskbar for Excel whilst the Creative team expect Photoshop in the Start menu. 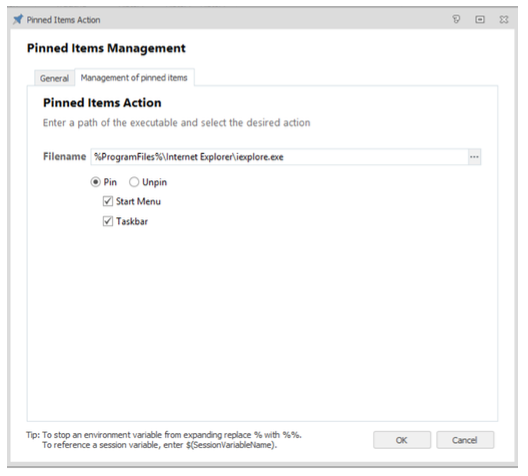 With a simple Environment Manager policy action, you can add and remove applications from the user’s Start menu and Taskbar based on any number of conditions. As discussed earlier in the blog UWP applications are a different beast when it comes to understanding their mechanics and limiting their disruption to the end user and their session. * Note: The above-mentioned FTA roaming configuration is currently going through community testing and will be added to the product as a full feature in a future release. Please see this Community link for more info. A common user experience problem with Windows 10 has been that the user sets Adobe Reader as the default program for PDF files, they save their files and logoff for the day. The next day they login, open the PDF file and instead of Adobe's splash screen they get the default program dialog appear and Microsoft pushing them to use Edge instead! 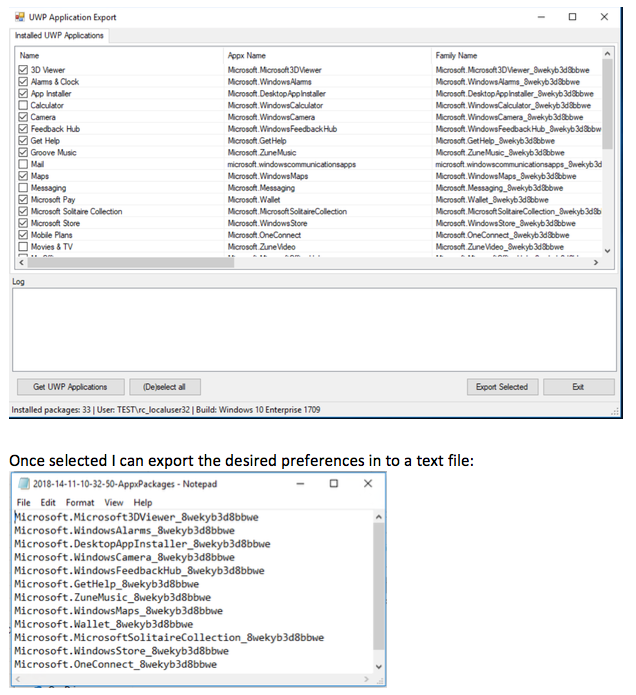 The complexity behind persisting File Type Associations (FTA) on a per-user basis is all too apparent when one begins to explore the different moving parts. 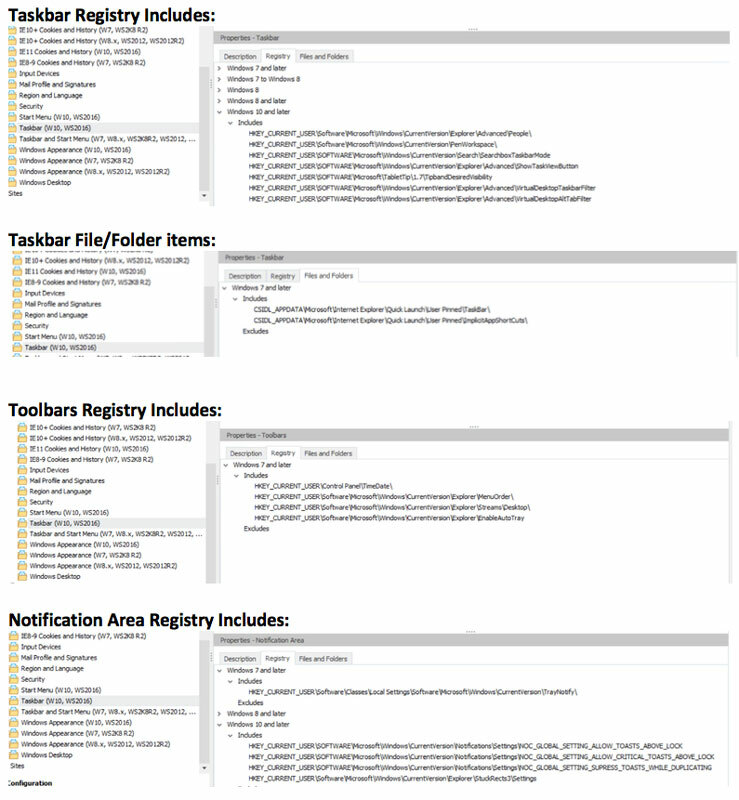 There is the OEMDefaultAssociations.xml file and its Alcatraz-like ACL's coupled with the application, device and user specific hash that is created every time you set a default association! Thankfully Environment Manager can solve the FTA puzzle for you and provide your users with a consistent experience. 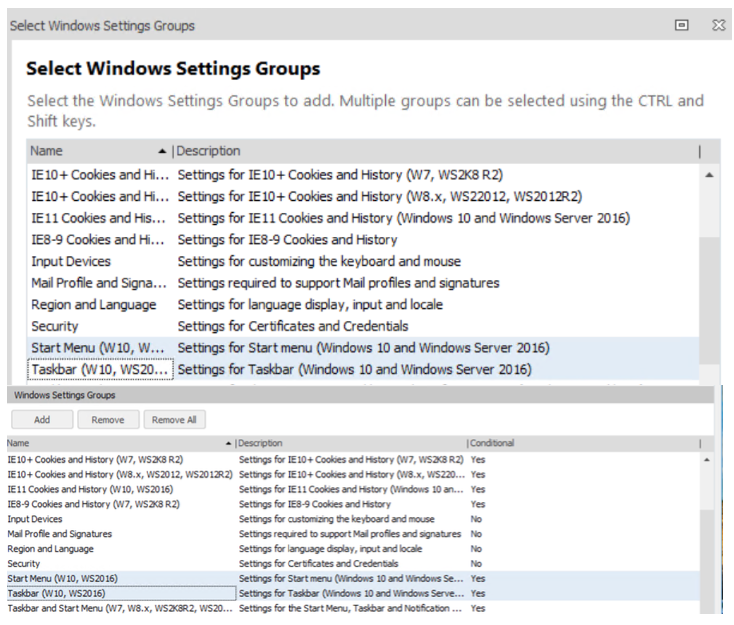 The configuration can be used to persist the required associations across all versions of Windows 10 and Server 2016. * Note: This configuration is currently going through community testing before it is added into the product or the Ivanti Marketplace. Please try it and give us your feedback! Environment Manager also provides the Administrator with the ability to define File Type Associations for the user. (Note that this is different from the ability to roam the user’s own FTA settings, described above.) 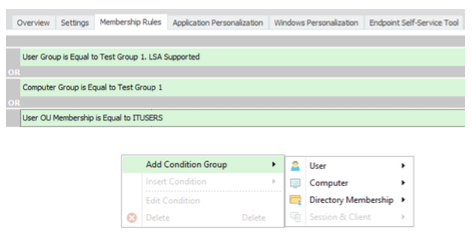 Together they complete management FTA on Windows 10 and provide a consistent, managed user workspace. This article only touches the surfaces of Ivanti’s capabilities when it comes to management of the Windows 10 user experience and profile. For a detailed overview of our supported Windows 10 platforms and version matrix please see this community item. Help Us to Write the Next Chapter in Our Windows 10 Story! We need our community of customers to tell us how we are doing and if we are solving the Windows 10 challenges you face daily. Please use the Ivanti Community to provide your feedback and suggestions directly to the UWM product teams.